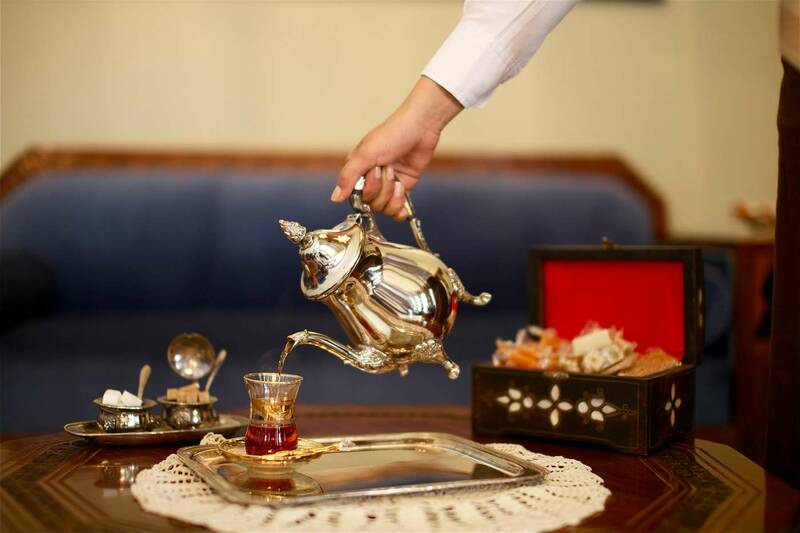 Immediately upon arrival at Beit Zafran Hotel, you will sense what distinguishes us from standard hotels. We are a quiet urban hideaway tucked in a historical neighborhood of churches, mosques, souks (old bazaars) and winding streets. Once you step inside the home, the house’s charm and sophistication are unmistakable. 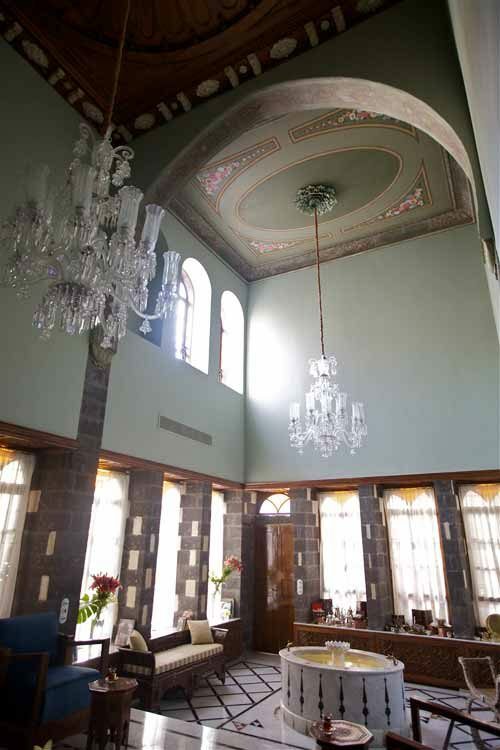 The Syrian-Swiss owners of Beit Zafran, Adnan Habab and Gabriela Wengert, meticulously restored this former Ottoman mansion (built in 1836) over several years, taking great pride in bringing it back to its former beauty. 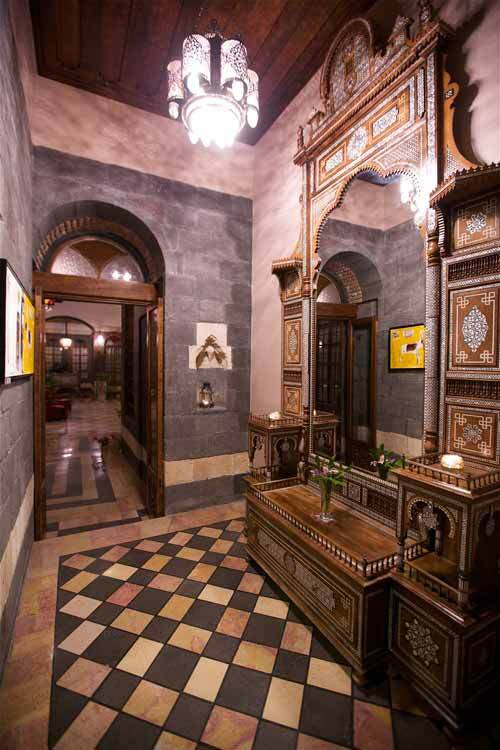 True to its authentic form, its 12 exquisite rooms and suites are built around the house’s two inner courtyards with their magnificent original marble fountains and the scent of jasmine. 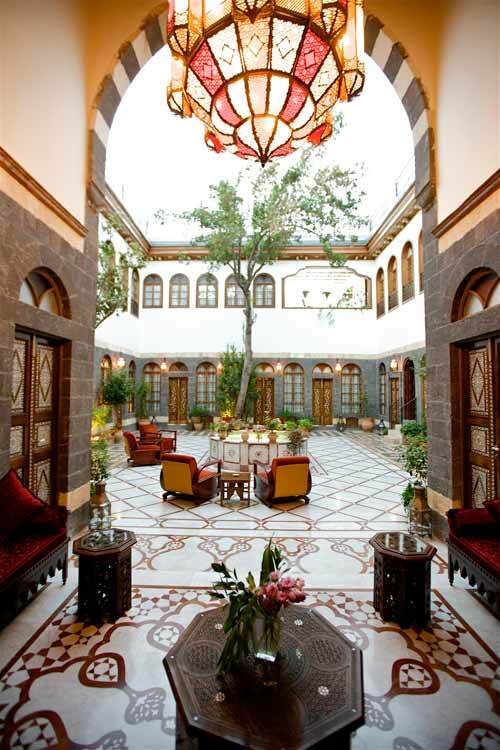 The “liwan” with its original wooden ceiling and stucco decoration is a seating area open to the courtyard where you can escape the heat and buzz of Damascus. 12 luxury guest rooms and suites, spacious, authentic, and elegantly decorated. Some with private terraces. 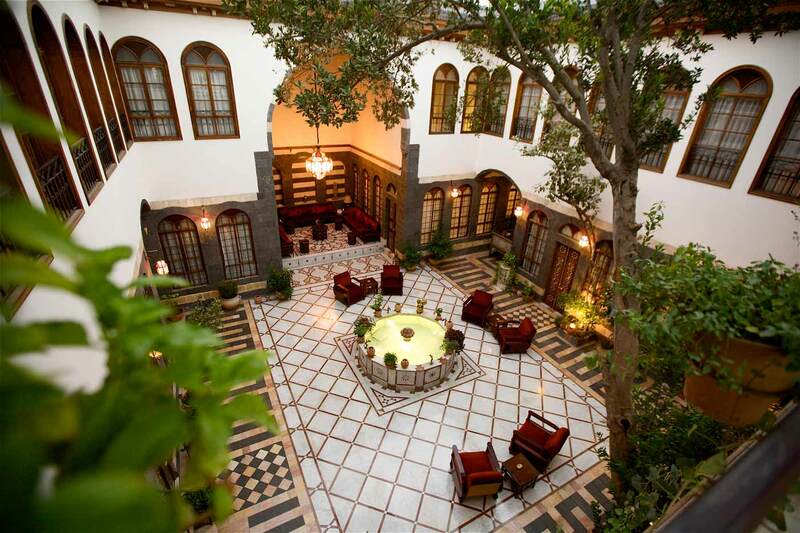 1 Private Wing, featuring three guest rooms for up to 6 guests, with separate courtyard and private terrace. 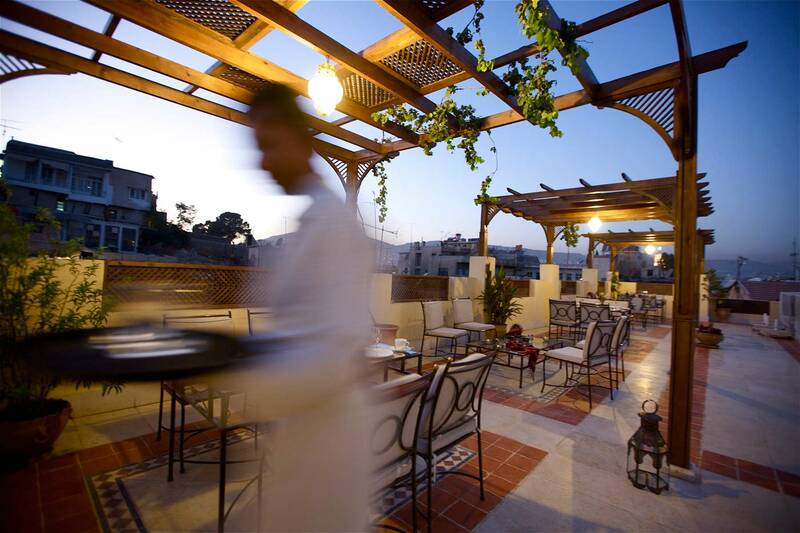 Escape to the intimate tranquillity of Beit Zafran, a hidden gem in the heart of the oldest continuously inhabited city in the world.